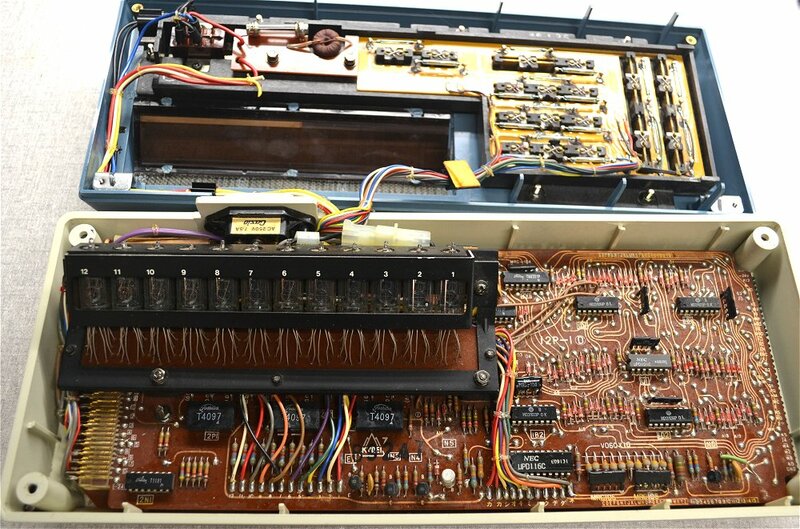 I love nixie tubes. 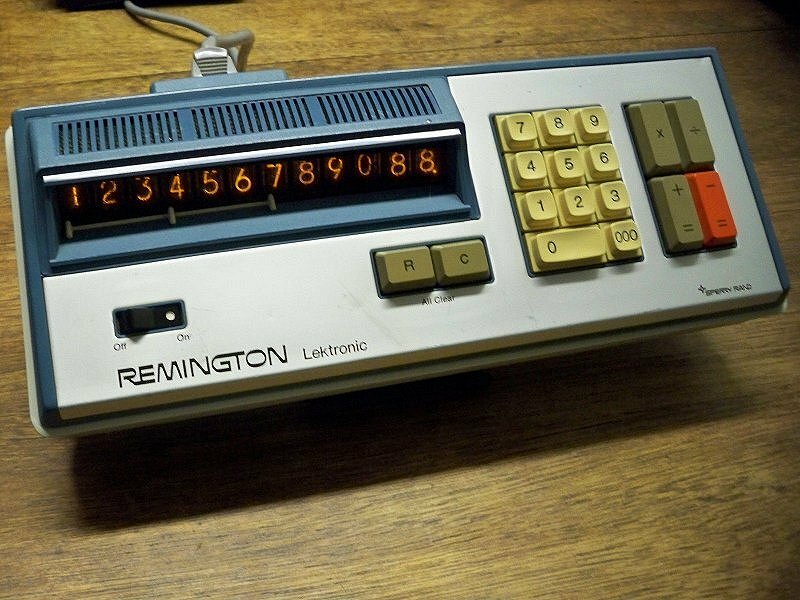 This is a twelve digit desk calculator with a nixie tube display manufactured by Remington Rand. Model number EDC1201GT. 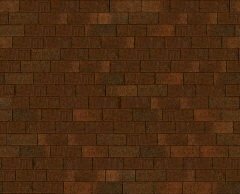 Most likely made in the early 1960s. 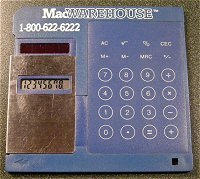 As calculators got smaller, flat, credit card sized calculators appeared. 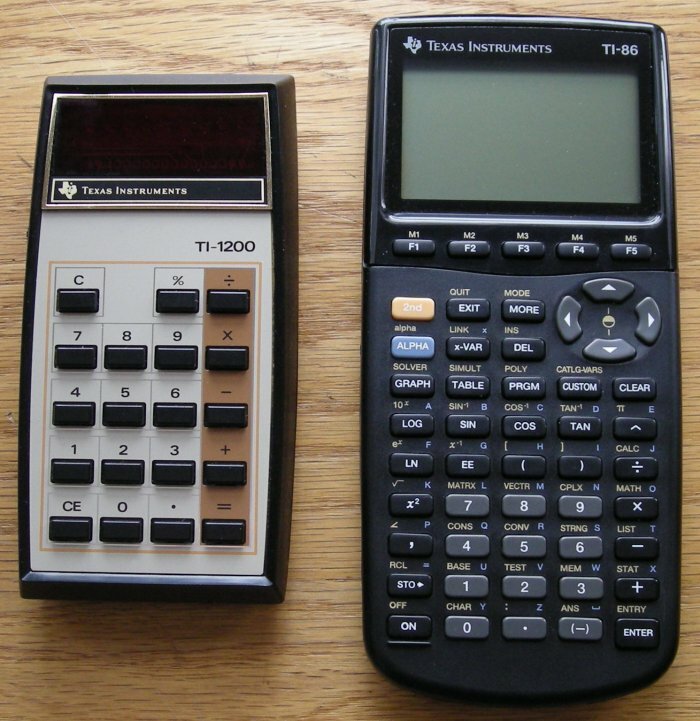 Thin enough to fit in a wallet, they were solar powered and could operate even in dim light. The the Texas Instruments TI-1786 "TI CARD"
and the CASIO SL-760 "Film Card". This Canon F-55S is the smallest scientific calculator I've seen. 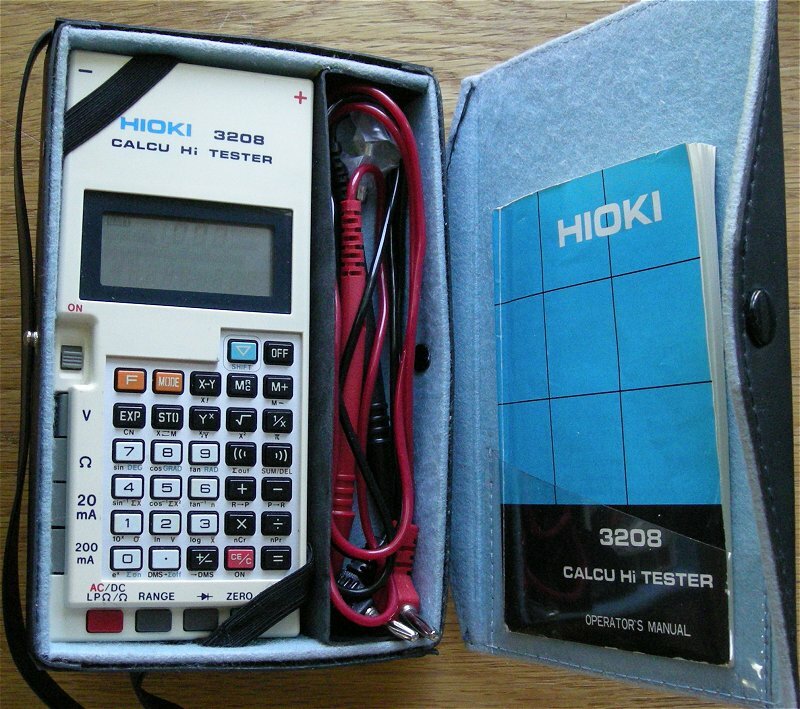 Note the 4X4 matrix to select the functions. 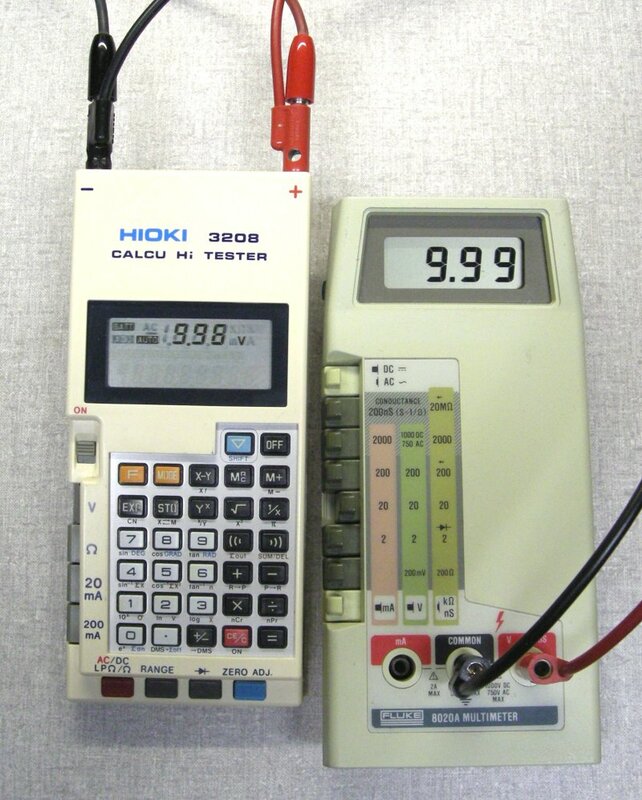 This is a unique combination of a calculator and Digital Multi-Meter (DMM) in one hand held unit. 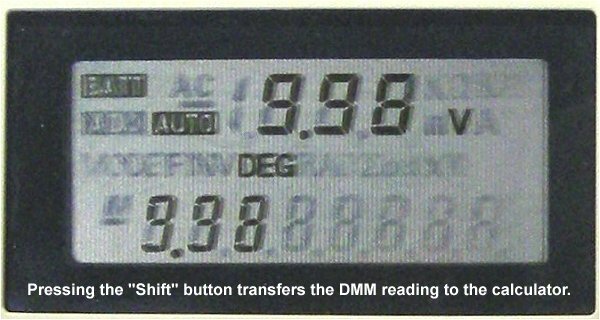 Not just both in the same package, the reading from the DMM will transfer to the calculator by pressing the shift key which allows formulas to be calculated using the readings directly from the DMM readings. 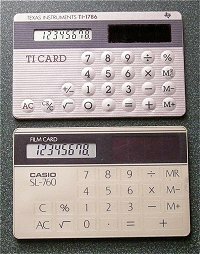 Novelty solar powered calculator in the exact shape and size of a 3¼ inch disk. 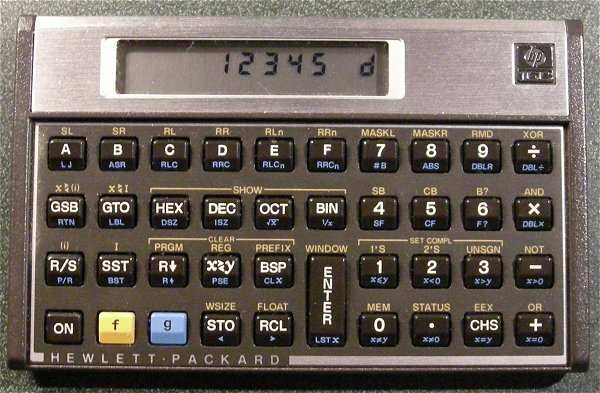 The HP 16C Computer Scientist was designed for computer programmers. 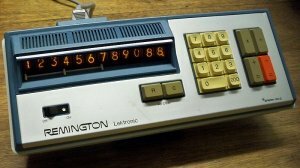 It performs calculations and conversions in decimal, hexadecimal, octal, and binary. 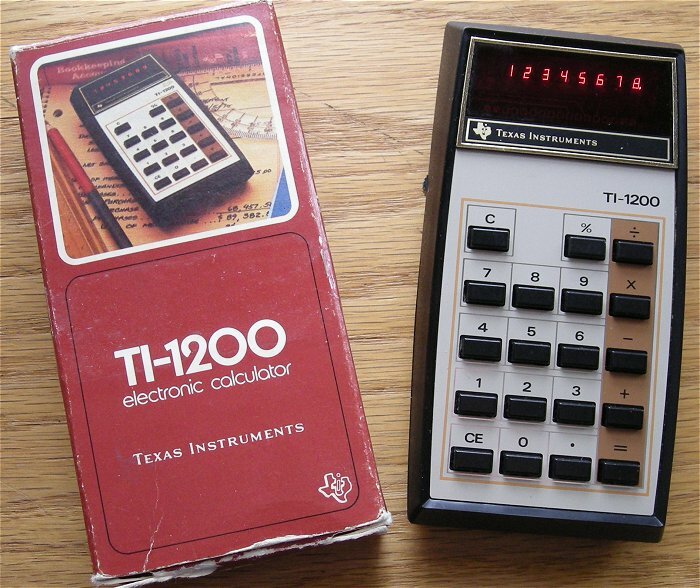 It has enough memory for storing over 200 lines of programing. 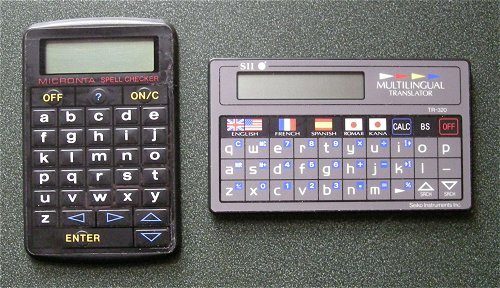 Not limited to math calculations, pocket computers were designed for different functions such as spell checking and translation for hundreds of different languages. Today any tablet or smart phone will perform these functions. 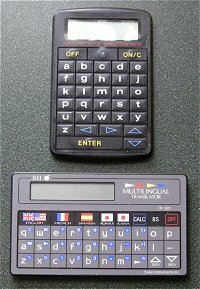 and the Seiko SII Multilngual Translator.